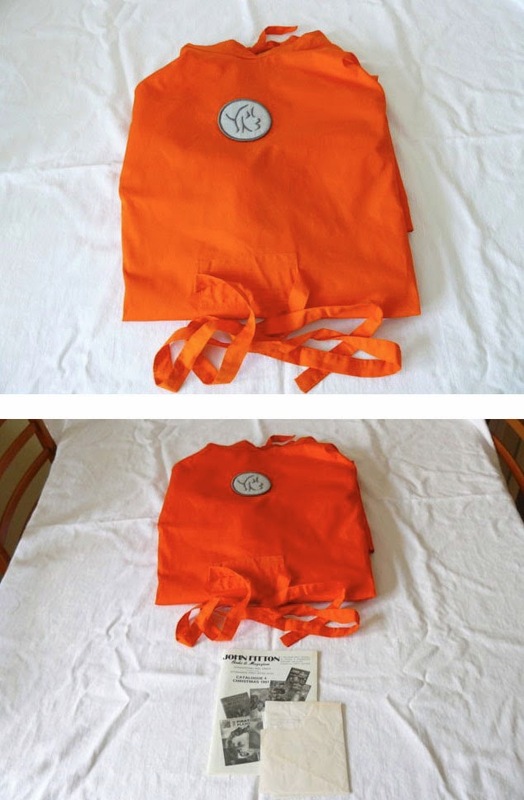 This item was original in a Bonhams auction back in 1991, lot 106. The original lot consisted on a dozen costumes, with masks included. I’m not sure how much that lot sold for, but this single gown did pretty well. 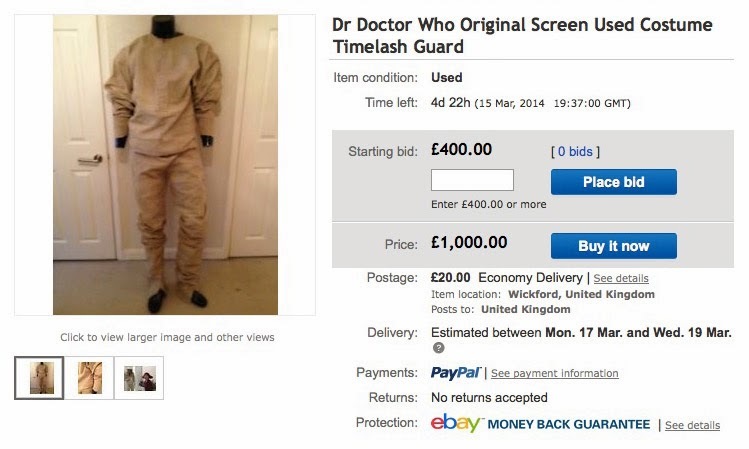 An original Dr Who costume from the 1986 episode ‘Mindwarp’. 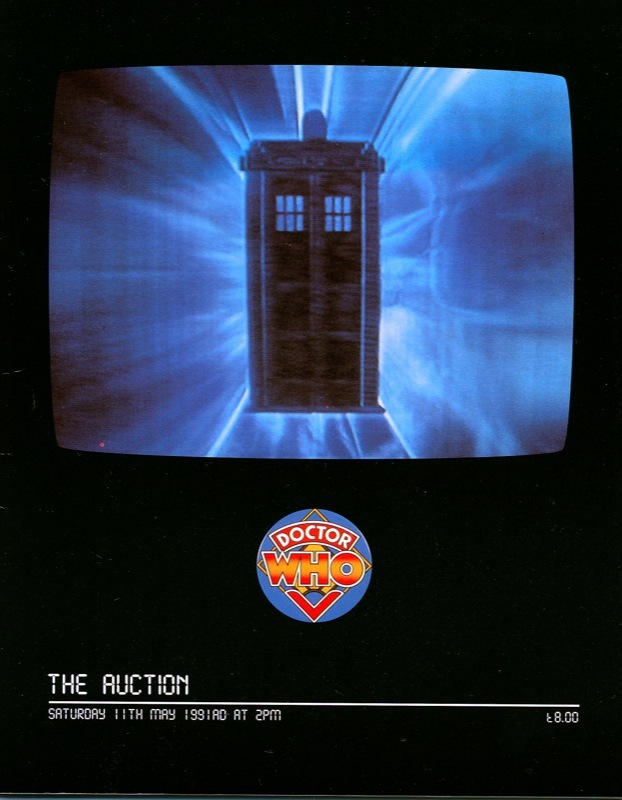 I bought it in 1992 from John Fitton Books and Magazines but I think it was originally part of lot 106 from the 1992 Bonhams auction, which I was lucky enough to attend. 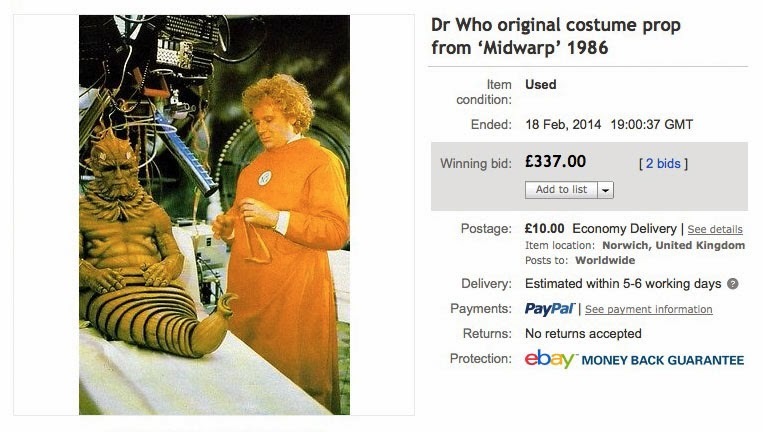 I do not have the surgical mask and I don’t know if this one was actually worn by Colin Baker. 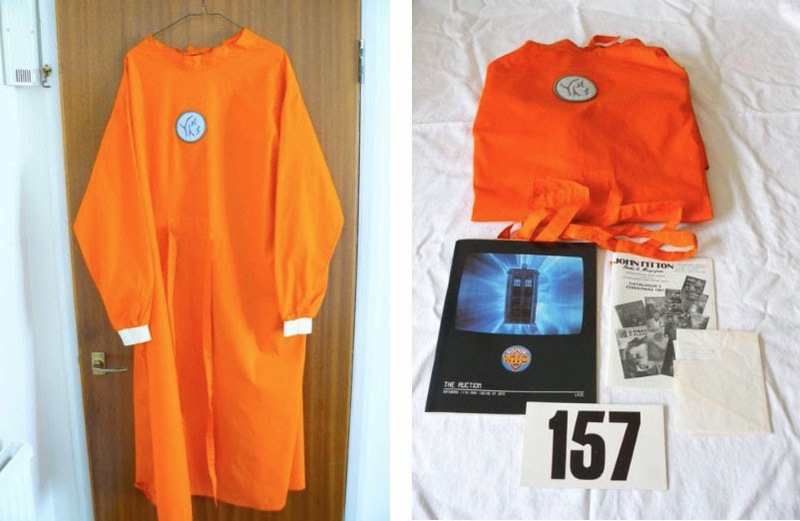 You will receive:- Mindwarp medical gown-Bonhams catalogue and bidding card-John Fitton Books and Magazines catalogue-John Fitton invoice. 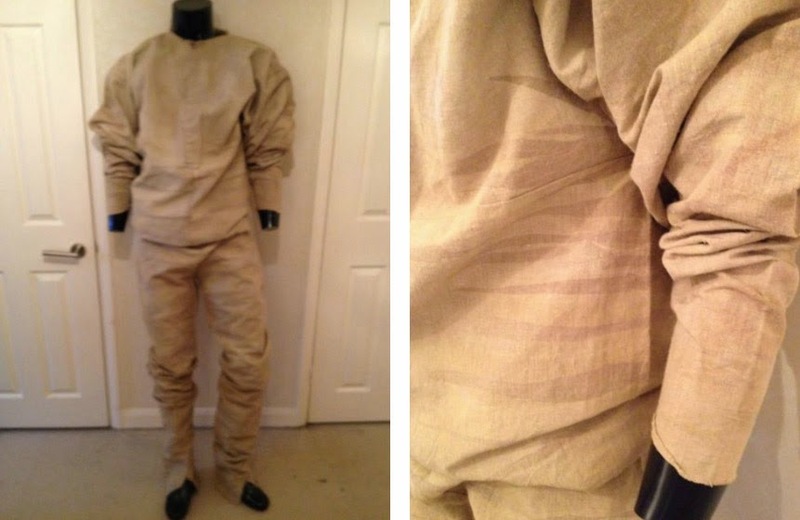 An original screen used guard costume from the 6th Doctor (Colin Baker) Doctor Who story: Timelash (originally broadcast March 1985).